Frederica recommends the book Heaven is for Real: A Little Boy's Astounding Story of His Trip to Heaven and Back by Todd Burpo. 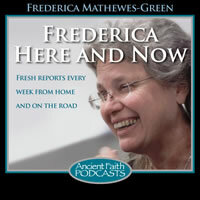 Frederica explains the impact of technology on publishing and the distribution of the news. Fredrica discusses the ethical problems of enhancing performance with medication.